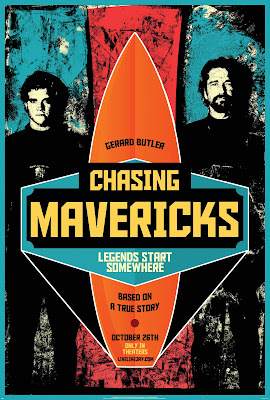 Coming to theaters on October 26th, Chasing Mavericks is a film based on the true story about the legendary surfer Frosty Hesson (played by Gerard Butler) teaching 15 year old Jay Moriarity (played by Jonny Weston) how to survive one of the largest waves in the world called the Mavericks. This film, which is said to contain extremely impressive wave footage, is about more than surfing. Checkout the trailer below for a sample of the humor and inspiration this movie brings. You will also notice a cast, which includes favorites like Elisabeth Shue, Abigail Spencer, and Leven Rambin. This film is rated PG. To find out more about Chasing Mavericks, visit LiveLikeJay.com, where you can also find games to play and free Facebook covers to download. 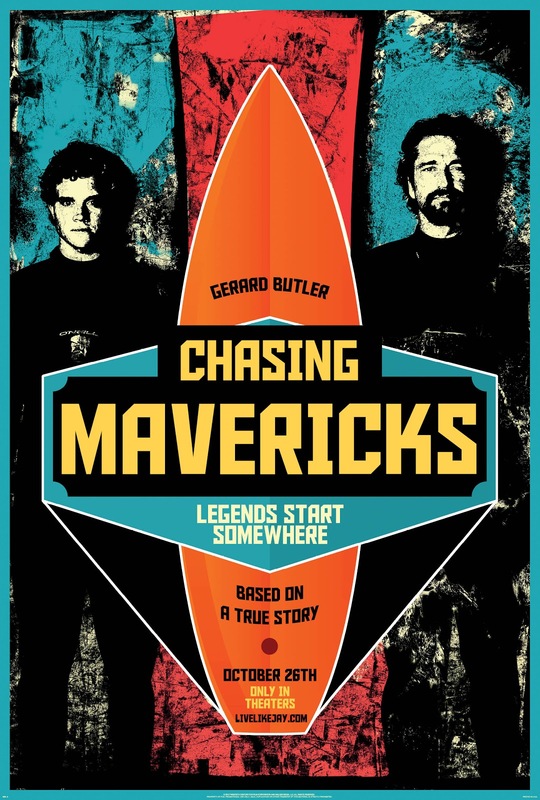 Look for the Chasing Mavericks soundtrack, which is a collection of Alternative Rock music, digitally on October 23rd and on CD starting November 19th. Thank you to 20th Century Fox for providing the prize pack for our contest and for providing another Visa gift card for me to see this film.